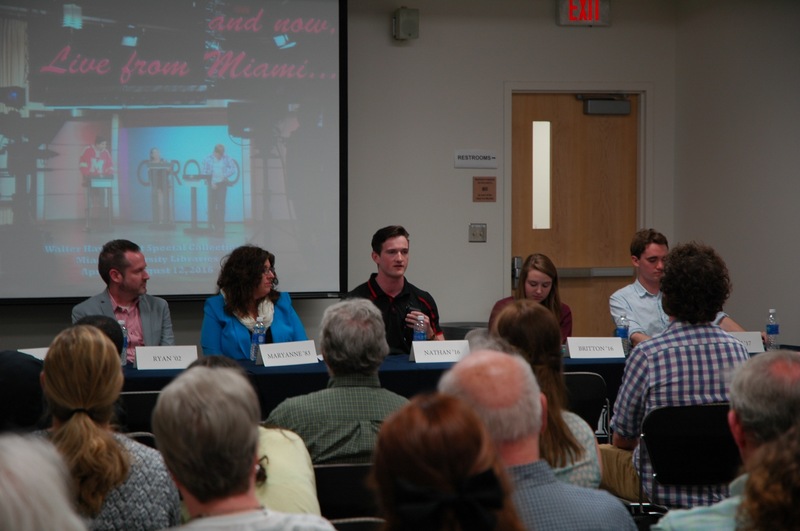 Opening our 2016 exhibit and now, Live from Miami…, we had a panel of current and former students at our best-attended reception yet, discussing their experiences as students at Miami. The panel included Rick Ludwin (’70), Maryanne Zeleznik (’83), Ryan Lewis (’02), Tana Weingartner (MA ’07), Nathan Hengstebeck (’16), Britton Perelmann (’16), and Garth Herbert (’17). 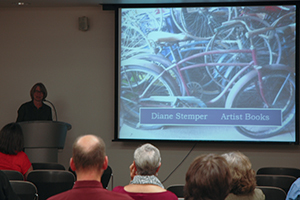 Building on the Fall 2015 exhibit The Creative Codex: Books as Art in the Walter Havighurst Special Collections, local artist Diane Stemper was invited to speak about her work. Several of her artist’s books were included in the exhibit. 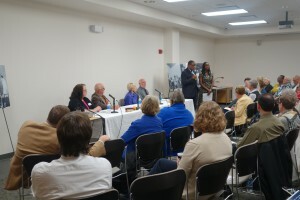 50 years after Freedom Summer 1964, Freedom Summer Participants and Donors to the Freedom Summer Archive will speak in a panel about their experiences. They will also take questions from the audience before a tour of the exhibit “Stories of Freedom Summer“. 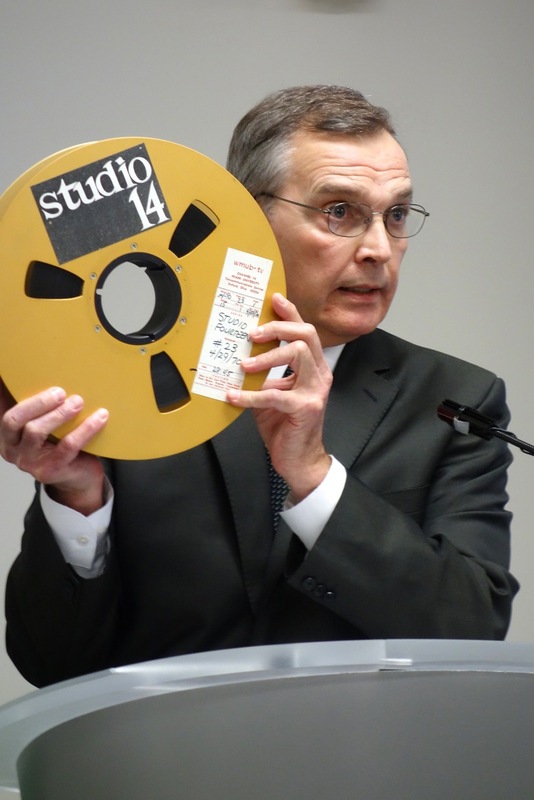 Miami alumnus and former NBC vice president Rick Ludwin inaugurated our new Annual Special Collections Lecture Series with a fabulous presentation about his student days hosting Miami’s Studio 14, under the mentorship of Professor Emeritus Bill Utter. Bill and David Beller, former student director of Studio 14, also spoke.